They are home but they are not alone. It’s summer vacation, but the Pearson family kids are stuck at a boring lake house with their nerdy parents. That is until feisty, little, green aliens crash-land on the roof, with plans to conquer the house AND Earth! Using only their wits, courage and video game-playing skills, the youngsters must band together to defeat the aliens and save the world - but the toughest part might be keeping the whole thing a secret from their parents! Featuring an all-star cast including Ashley Tisdale, Andy Richter, Kevin Nealon and Tim Meadows, Aliens In The Attic is the most fun you can have on this planet! $8.008 million on 3106 screens. With 2009’s Aliens in the Attic, we get a comedy/adventure in the same vein as 1984’s Gremlins. The extended Pearson clan takes a summer vacation at their Michigan lake house. Though we meet a mix of folks, the story concentrates on Tom (Carter Jenkins), an underachieving high school student. When he goes to fix a busted satellite dish, Tom and his cousin Jake (Austin Butler) encounter a handful of Zirkonians, a miniature alien race. After a feeble attempt at faux diplomacy, the Zirkonians quickly launch into attack mode. As part of this, they use a mind-control device that makes Ricky (Robert Hoffman) – the smarmy boyfriend of Tom’s older sister Bethany (Ashley Tisdale) – into their slave. From there, war ensues. Tom figures out that the mind-control plugs only work on adults, so that means the kids need to stop the alien invasion. Tom and the others fight back against the Zirkonians, with help from Sparks (voiced by Josh Peck), the Zirkonian engineer who doesn’t approve of his species’ violent tendencies. 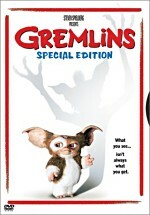 When I compared Attic to Gremlins, I did so because they seem similar at their cores. Both involve ordinary suburbanites who must battle tiny, tenacious foes. Both also offer a strong sense of comedy along with their action. So in those ways, Attic and Gremlins are siblings. In the same vein, Jaws and Piranha 2. That’s being a little harsh on Attic, as it’s substantially superior to the God-awful Piranha 2, but the fact remains that Attic isn’t in the same league as Gremlins. However, I must admit Attic offers more entertainment than I expected. I figured it’d be a clumsy, silly piece of kiddie nonsense; the trailers sure didn’t inspire me to see it as anything better than that. And it does offer a silly piece of kiddie nonsense, but over its fairly short running time, it does manage some charm. While the concept isn’t especially original, it does open up a good mix of action/comedy opportunities. The movie manages to create some amusement at times. It’s essentially in “throw a lot at the wall and see what sticks” territory, but enough of the material works to keep us interested. Attic isn’t a film that stands up to much scrutiny, however. As I mentioned, the story isn’t anything especially fresh; in addition to Gremlins, it borrows a lot from Small Soldiers. We get an average cast, though I do think Andy Richter, Kevin Nealon and Tim Meadows provide more amusement than their small roles would dictate. The effects are consistently lackluster. In particular, the computer-animated aliens look pretty bad. Actually, “bad” isn’t the right word, but the CG techniques seem behind the times. They Zirkonians never become particularly convincing; they’re 2001 critters in a 2009 movie. Nonetheless, sometimes the whole is greater than the sum of its parts, and Attic entertains reasonably well despite its flaws. I say this as someone far from its pre-teen target age, too. Will I ever want to watch Aliens in the Attic again? Probably not, but it creates a decent little diversion, and I suspect it’ll work well for the young ‘uns. 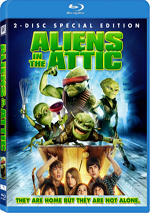 Aliens in the Attic appears in an aspect ratio of approximately 1.85:1 on this Blu-Ray Disc. The transfer looked quite good. Colors came across well, as the movie offered nicely delineated and bright hues. Blacks seemed dark and full, while shadows were smooth. Interiors and night shots offered good clarity across the board. Sharpness seemed solid. At all times, the movie exhibited nice definition, as the flick was tight and concise. I noticed no shimmering or jaggies, and edge enhancement was non-existent. No source flaws marred the presentation, but it could be a smidgen grainy at times. Nonetheless, the movie usually provided very nice visuals. As for the DTS-HD MA 5.1 soundtrack of Attic, it also satisfied. With all its cartoony action, the flick boasted plenty of chances for good usage of the various channels. Though the front speakers dominated and created a nice sense of environment and activity, the surrounds added positive dimensionality to the proceedings. Elements fit together well and created a fine sense of place and involvement. In addition, audio quality was solid. Speech was natural and concise, and music showed nice vivacity and range. Effects also added good kick to the proceedings; those elements appeared dynamic and accurate. Although the track wasn’t quite vibrant enough for “A”-level consideration, it nonetheless satisfied. When we go to the extras, we open with two separate Introductions from actor Ashley Tisdale. She takes us into the movie itself (0:21) as well as the special features (0:21). Both are pretty much pointless. We find an Alternate Ending and three Deleted Scenes. The former runs two minutes, 48 seconds, while the latter fill a total of three minutes, 34 seconds. These include “Basement” (1:46), “Anti-Gravity Sheriff” (1:02) and “Alternate Resolution” (0:45). The “Alternate Ending” varies a few aspects of the conclusion; it’s not a radical departure, but it changes some heroics. “Basement” extends a confrontation between Tom and Jake, while “Sheriff” lets us see a little more of the adults while the kids try to save the day. “Resolution” simply shows the happy clans at the flick’s end. None of these seem especially memorable, but none would’ve been out of place in the final cut. A Gag Reel lasts four minutes, 54 seconds. Should you expect anything more than the usual goofs and giggles? Nope. If that’s what you like, have fun! A handful of featurettes follow. Behind the Zirkonians goes for 15 minutes, 26 seconds, as it provides a slightly-animated comic book prologue to the film. We go back to Zirkon and see how the aliens came to our planet. It’s reasonably entertaining, and it adds some good background for the story. We get some character information under Meet the Zirkonians. This provides details about the four alien characters: Tazer, Sparks, Skip and Razor. When you click on various spots, you’ll hear comments from cast and crew about the Zirkonians. In addition, running text scrools to show biographical info. The interface is a little clunky, but we do get some interesting tidbits about the aliens here. For more with the film’s popular young actress, we go to The Ashley Encounters. During this four-minute and nine-second clip, we follow Tisdale around the set and hear some of her thoughts about the shoot. We also find a few remarks from actors Ashley Boettcher, Robert Hoffman, Austin Butler, and Carter Jenkins. It’s so lightweight I don’t know how it stuck to the disc. Lights, Camera, Aliens! 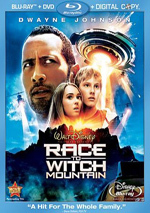 fills nine minutes, 31 seconds with notes from Jenkins, Hoffman, Tisdale, Boettcher, director John Schultz, producer Barry Josephson, executive producer Marc S. Fisher, visual effects supervisors David Allen and Doug Smith, director of photography Don Burgess, co-visual effects supervisor Mike O’Neil, and actors Henri and Regan Young, and Doris Roberts. “Lights” covers cast and performances, stunts and action, effects, locations and the depiction of the aliens. Though nearly as glossy as “Encounters”, “Lights” does boast a reasonable amount of information. In particular, we get good shots from the set. It’s not a great piece but it’s worth a look. Finally, Kung Fu Grandma lasts a mere one minute, 21 seconds. This is a spoof commercial that pretends you can buy the controller to make your grandma a “kung fu master”. It’s clever as far as ads go. Next we find a Music Video for Brian Anthony’s “Electricity”. In this clip, we see a collection of movie snippets accompanied by Anthony’s forgettable dance pop tune. Blah. A TV program comes to us via the 27-minute and 31-second Fox Movie Channel Presents Life After Film School with Barry Josephson. Three film school students question producer Josephson to get insights into life in the movie business. He discusses his path to his current job as well as his work on Attic. At times the program feels a little more promotional than I’d like, but it still fares pretty well as it gives us notes about making it in show biz. The package also includes a Digital Copy of Attic. As usual, this lets you transfer the flick to a portable viewing device or a computer. Have a blast! A few ads open Disc One. We get clips for Alvin and the Chipmunks: The Squeakuel, Percy Jackson and the Olympians: The Lightning Thief, Ice Age: Dawn of the Dinosaurs, Night at the Museum: Battle for the Smithsonian, Post Grad and Fame. No ad for Attic can be found here. Should you expect a family classic with Aliens in the Attic? Heck no, but you will find a reasonably engaging and entertaining action/fantasy/comedy. The Blu-ray provides excellent visuals, very good audio, and a decent roster of extras. Attic reinvents no wheels, but it delivers enough enjoyment to make it worth a look for its target audience.